Discussion in 'Designers and Collections' started by EisleyJane, Aug 28, 2009. Just to let you all know that I bought some Dylan & George lucy popular jeans and after one wear of them in one month they tore out side of the tare around the knee and will only continue to tare all around the jeans and become shorts. 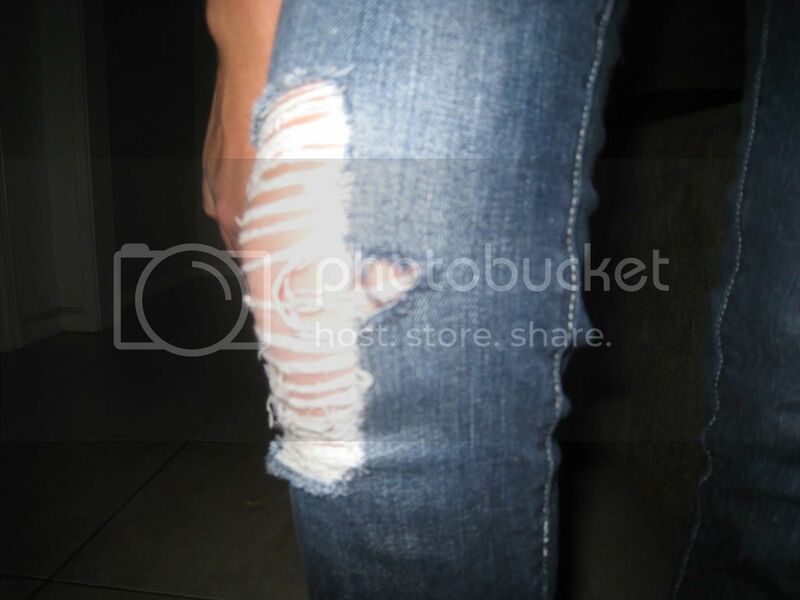 These jeans are CRAP you can find jeans at forever 21 for a better price! These jeans are $200!!!!! The place i bought them jeans.com has a 14 day period of return and i had to fight for them to let me return them. I only wore them that one time during the 30 days i had them. I tried to call Corporate Dylan George and they told me i have to deal with the place that I got them from!!!! I worked for PAIGE DENIM and they let you exchange your jeans no matter what. If you have the jeans for 3 years and get a tare in the crotch or a tare in the knee you can return them directly to Culver City Paige denim corporate and manufacturer. Also same thing happened with me and JET jeans the jeans messed up after one wash and i called Jet corporate and they exchanged my jeans PLUS gave me a free Jet tote bag! Super nice no hassle. All I have to say is that DYLAN George is crap! Crap service Crap jeans! Stay AWAY!!!! FAR AWAY!